Add some style to your home with this beautiful Siena Mirrored Cabinet. 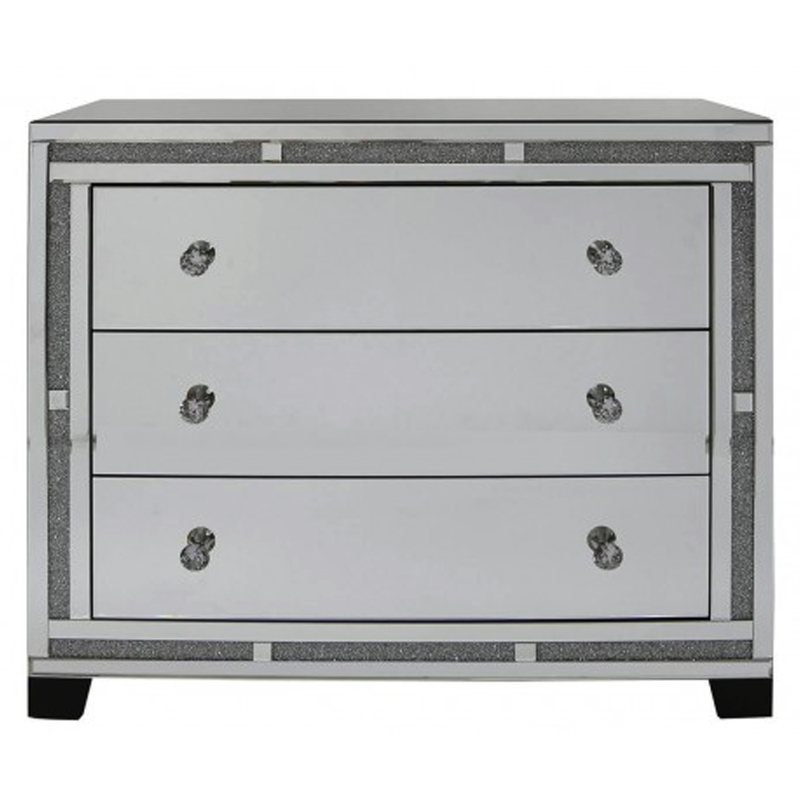 With three large drawers than can be accessed with the crystal handles this lovely cabinet will turn heads and be a focal point in any room. Straight from the Siena Mirrored Collection.